Congratulations to Billy Green from Medfab Ltd who is our September Prize Draw Winner! 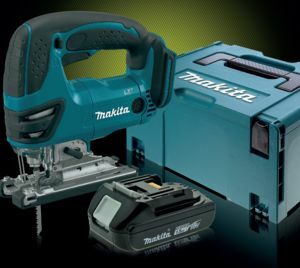 We're pleased to announce the winner of our September Prize Draw is Billy Green from Medfab Ltd.
Billy was pleased to win a Makita LXT (DJV 180Z) 18v Jigsaw, 1.5A/H Battery and 821551-8 Type 3 Carry Case. This compact and lightweight 18v jigsaw provides smooth and powerful cutting, with quick release blade change and LED job light for an easy to trace cutting line. Combined with the battery and carry case this is a handy set to have on site. Slide on, lightweight and shock absorbing.